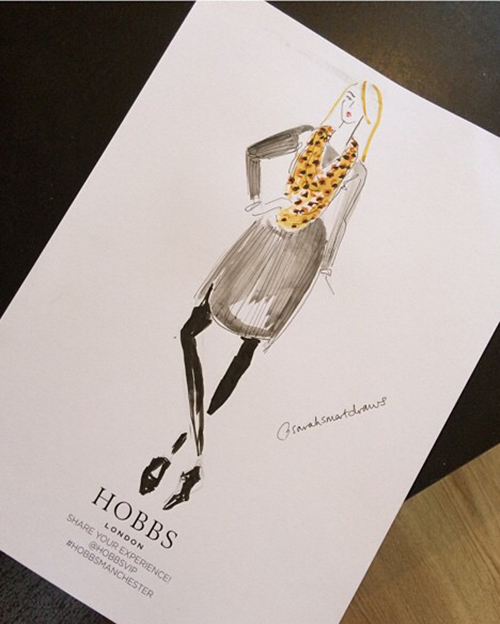 I’m happy to announce that Hobbs is now back in Manchester city centre! This time, the fashion store has made a pop-up it’s new home on Manchester’s King Street, situated on the corner of Deansgate. The store stocks an edited selection of the high street womenswear retailer’s spring 15 collection, with a focus on easy separates, floral and gingham prints, and hero coats. 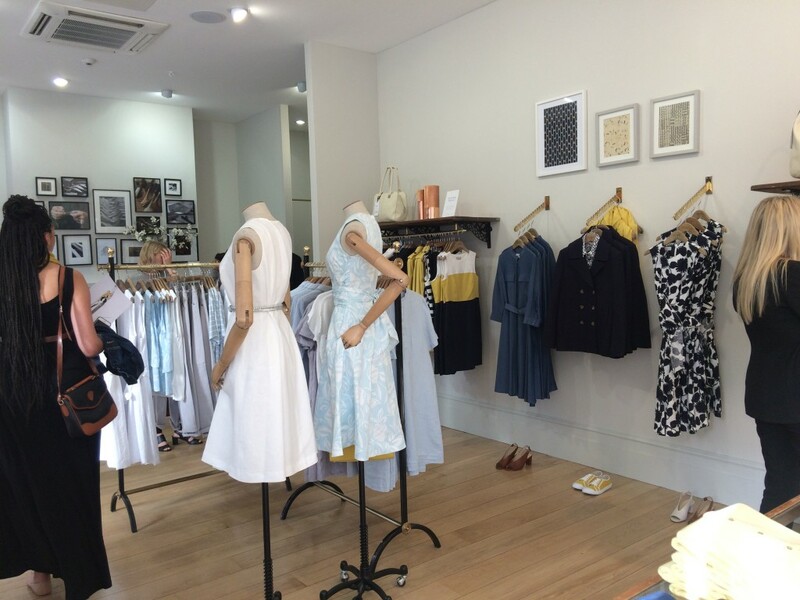 I was lucky enough to ‘pop’ along to the opening a couple of weeks ago, where I got to see the lovely new store celebrate it’s arrival and join in the launch. Fashion illustrator Sarah Smart was on hand for the evening, sketching up some beautiful hand drawn illustrations of us fashion bloggers and press. She designed a fantastic drawing of myself, which is now framed nicely, awaiting it’s arrival on the walls of my new house I move into next week. Once I had my drawing produced, I had a couple of glasses of fizz and explored the stunning store and the brands new collections. I fell in love with the striking array of scarves and pashminas, as well as the bold colour blocking statement pieces they displayed around the shop. One thing I love about Hobbs, after discovering the brand in much more detail only over the past couple of years, is that the items are genuinely made to a superb quality. They follow the key trends but not in a fast-fashion way; more of a timeless and classic way, providing wardrobe staples. A lovely store to check out if you are visiting Manchester!